When troops go off to war, any war, they go with a well-taught, well-disciplined understanding of what they are to expect, of how they are to respond, of how they are supposed to live–and to die. The provision of the education (if it even dare be labeled so straightforwardly) that leads to such profound, in-your-gut understanding: that the military (certainly the United States’ military) does well. Quite well. What troops can never know beforehand, however, is the in-your-life, in-your-soul understanding of just what such an educated/indoctrinated understanding feels like in that very gut. Every combat veteran, no matter how articulate, can find some way of explaining to any listener who dares to hear the difference between “knowing” and “knowing.” If in the former the gut undergirds the head, in the latter it waylays it. For all combat veterans understand that even though one person may have disembarked that aircraft upon the initial arrival into Kuwait, two returned on the flight home: some semblance of the man, the woman who had arrived there, emboldened, perhaps, shattered, perhaps, world-weary, always–but in addition, within the very fiber of that man, that woman: the War. Never forget: in the current conflicts, there is no such thing as “the back lines.” All lines are front lines. Have you ever seen films from the current conflict? Yes, there is sand everywhere. Yes, one can feel the heat even through the screen. Yet to a parochial Midwestern boy such as myself , many such films look nothing more than as if they had been staged in something akin to my internal image of a godforsaken stretch of interstate about an hour out of Phoenix or Las Vegas, only without the occasional roadside McDonald’s dotting the landscape. To your left? Traffic filing past in the opposite direction, one old-model, European-made car after another. In front of you? An an IED-blast that kills your best friend. After which, of course, if you’re lucky, you go back over the same interstate to your “base” that sits in the middle of other such interstates, such roads, a base always in readiness mode perhaps not for an IED, but instead for a missile or a rocket-propelled grenade. For even when one is Skyping home or hanging out in front of the latest au courant video game, winding down, I guess one could put it: one might still be, shall we say, rudely interrupted. Perhaps for the final time. And let’s not even begin to discuss the companion one acquires when one gets the opportunity of going out into the nether regions of such a conflict, a handful of soldiers or Marines at a time, facing the “bad guys” (as they are so colorfully called) eye-to-eye, months a time, hour after hour: the War on steroids. Many combat veterans tell me that only one “person” came back from all that: the War. They themselves, the ones who had used to live inside that soul-space, died in that witnessed explosion, shattered to pieces in that gun battle, bled to death along with the nine-year-old girl they held in their arms as her mother screamed in something sounding not like the daily call to prayers, but rather like some never-should-be-in-a-lifetime call to Hell. I assure them, though, that no matter how they feel, two did indeed return home. And there our story, The War Within, begins. I look forward to your series, but I’d also be curious about how you deal with only being able to know without really knowing. 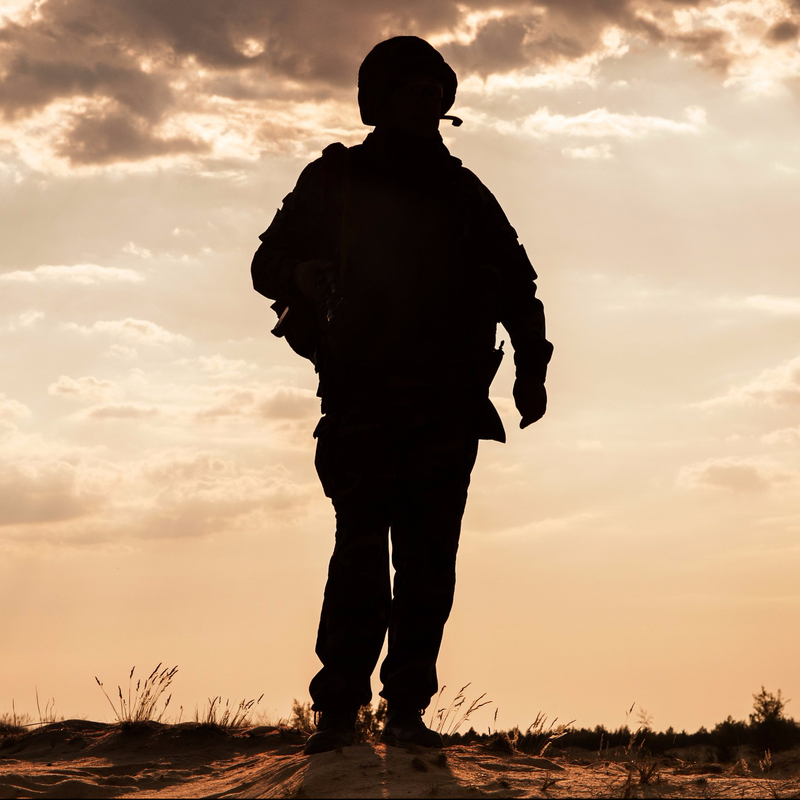 I wouldn’t doubt the reality or depth of your experience dealing with the veterans you treat, nor that you’ve probably seen and heard some soul-shattering things in your years of practice, but when it comes to combat trauma, you can only see through a glass, darkly. What are the inherent limits of what you can know, which of those limits are good, and which are an impediment? Do you find they vary entirely by individual, or are there some common strands? What help can only be provided by those who know, i.e. other veterans, and are there risks to getting a group of veterans who know all focusing on that knowledge in one room or for an extended period (might they get stuck in a rut and mutually reinforce that rut)?